Chemistry departmental get-together, where we recognized the Junior Scholar Award, W.D. Walters Teaching Award, Outstanding Graduate Award, Outstanding Graduate Award and Catherine Block Memorial Fund Prize recipient from the 2016-2017 academic year. The W.D. 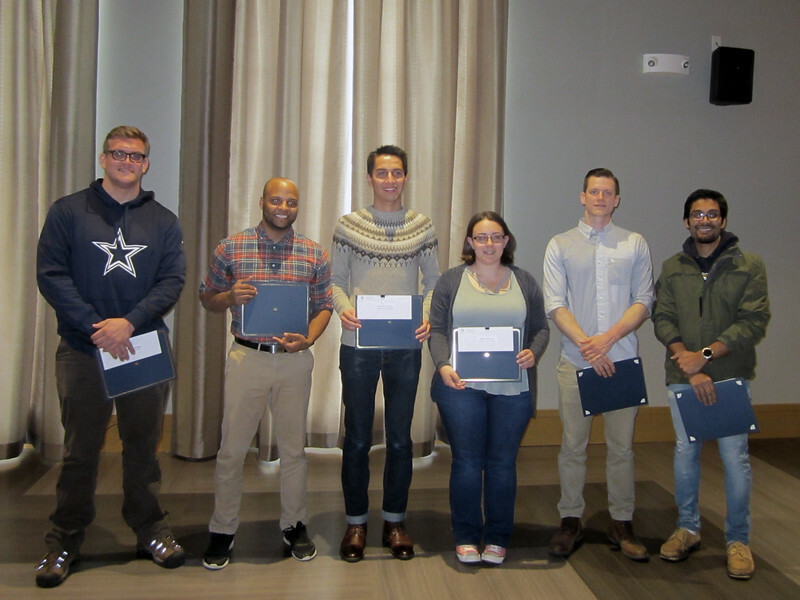 Walters Teaching Award recognizes outstanding undergraduate teaching by graduate teaching assistants. This award memorializes the late Professor W.D. Walters and the standards of excellence and achievement exemplified by him. It also recognizes our appreciation for the commitment and achievements of the awardees and consists of a certificate and cash prize.